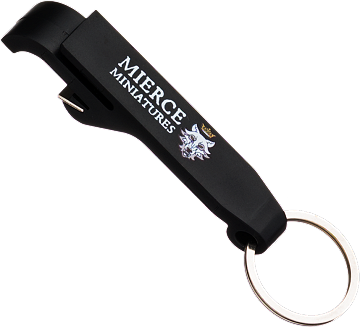 Those bottles of ale won't open themselves, so grab a Mierce Miniatures Bottle Opener Keyring to do the business! Note that this bottle opener refuses to open bottles of lager, so don't even try. It will open bottles of cider at a push, but it's happiest when opening proper ale, of course.